If you’re looking into doing your own DIY solar then you might be wondering what the best solar panels are. These panels are essential as they’re the main factor to whether or not you have a successful solar system. Luckily for you we are obsessed with everything solar and have taken the time to review the best solar panels on the market. All of the below products have been tested and reviewed so that you can make the best decision possible. So take a moment to analyze each panel and decipher which one is best suited for you. First on the review is the Renogy 100W solar panel. This is by far the best panel we have tested. It’s simply a high quality panel that has been proven to last. For this reason it landed in first place. As we mentioned above this is a 100W panel. It’s a monocrystalline panel which is the most efficient type of solar panel on the market. This makes the Renogy 100W panel one of the most powerful and efficient solar panels on available. Renogy is a trusted brand in the solar community and is known for having high quality products. This is true for this particular product. The panel is made out of high quality materials and is made to handle the wear and tear of the outdoors. The panel is perfect for RVs, camping, beach trips, DIY home solar, and just any off-grid applications. It comes with MC4 connectors making connecting with other Renogy panels extremely easy. Overall the Renogy 100W solar panel is a great panel. It is extremely powerful and is made out of high quality materials. If you’re looking for more power then they have multiple packages available. They also have full kits for complete off-the-grid power. In any case we recommend looking at this product as it’s a must buy! Made with high quality and durable materials. Next on the review is the ECO-WORTHY 100W solar panel. This is another top panel on the market. It very powerful and has a very high-efficiency per square inch. For this reason it landed in second. Along with the above panel the ECO-WORTHY has 100W of power. It’s a monocrystalline panel so it has a very high-efficiency rate compared to other models. The panel it’s self is very durable. It’s made out of heavy-duty aluminum and high transparency tempered glass. These quality materials ensure that the product can last years without any issues. The product also comes with MC4 connectors. Allowing you to hook it up with multiple ECO-WORTHY products with an ease. We found that this panel is perfect for basic 12V battery charging. If you buy other parts then you can make it into a whole off-the-grid power station. Overall this is another great product. It’s very durable and is made out of quality materials. It simply landed in second place because ECO-WORTHY is an up and coming brand and hasn’t made a name for its self like Renogy. With that being said it’s a wonderful option and is slightly cheaper than the above solar panel. Amazing durability and built to last. Cheap price compared to other panels. Third on the review is the Windy Nation 100W solar panel. Along with the above panels it’s very powerful and efficient. The only negative is that some people received scratched or damaged panels when buying this product. For this reason it landed in third. The Windy Nation panel provides 100W of pure power. While not specified, we believe this is a monocrystalline panel. Meaning it’s very efficient compared to other solar panel types. When testing this panel we found that it’s perfect for RVs, boats, cabins, or back-up power. It comes with an MC4 cord so you can connect it to other panels and 12v batteries as well. Overall this is basically the same product as the above panels. We just wanted to give you another option just in case you didn’t like the above brands. While we did like this panel we found that other people received damaged products. So for this reason we only recommend this product if you didn’t like the above solar panels. Comes with cords and brackets. Last on the review is the Renogy 50W solar panel. Yes, this is another Renogy product, but its low profile and quality design landed it a spot of the review. Since it has less power it landed in fourth place on the list. This particular product is a 50W monocrystalline panel. It has less power because it has a low profile design. This makes it perfect for people who need a more portable panel. Specifically a lot of people who have RVs use this type of panel. Since it’s a Renogy product it is made out of high quality and durable materials. When testing it on our RV we found that it was able to handle the wear and tear of the outdoors without any problems. This product does come with MC4 adaptors so connection is very easy. Overall this is a great option of you need a smaller more portable solar panel. It’s very efficient and is a must buy if you need something smaller. Small and portable solar panel. Low output due to smaller panel. Many of you know that solar panels are good for the environment, but don’t know the exact benefits that they bring. They actually have a lot of benefits, many of which most people don’t know about. First off solar power is a sustainable source of energy. Meaning it’s never-ending and can be used over and over again. Another positive of solar panels is that they are clean. The power from solar simply comes from the sun. Unlike coal or oil, solar is a clean avenue of energy that doesn’t harm the environment. So you won’t put holes in the ozone layer by installing solar panels on your house. The last benefit solar panels have is that they eventually save you money. Yes, the initial investment to install these panels can be relatively expensive. But this cost becomes worth it as you save money over the years. If you’re planning on doing your own DIY solar then it can be even cheaper. Please note that if you’re looking to install solar panels on your RV, camping trailer, or boat, then flexible solar panels might be the best option for you. Reason for is because they are much smaller, can conform so the side of your RV, and won’t shatter. 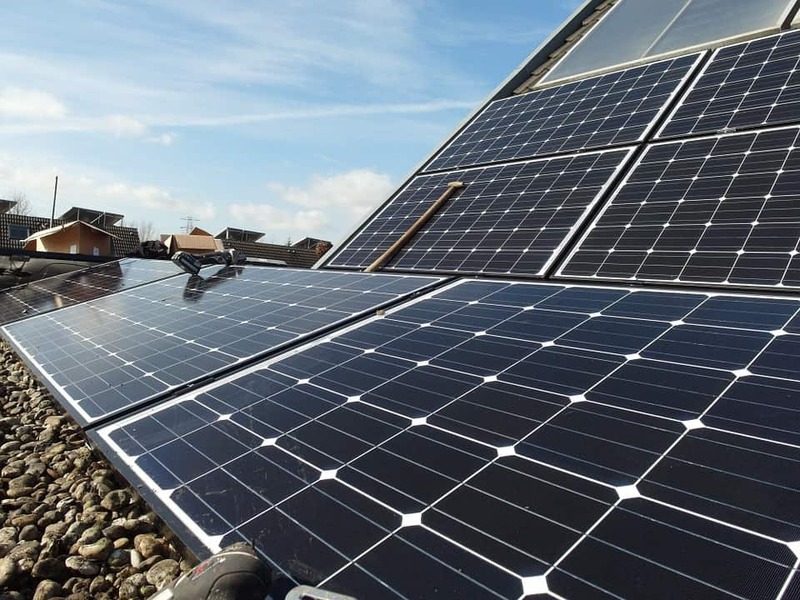 Overall there are many benefits to buying solar panels. We personally think solar technology is one of the best inventions of our time. As the years go by it will only become more popular as the price of the panels will drop.